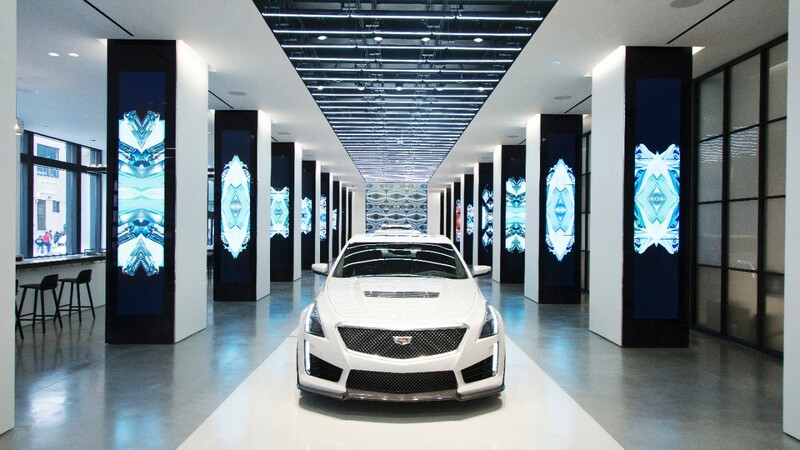 The famous automotive company is exploring new areas with their ‘Cadillac House’ located in New York City. 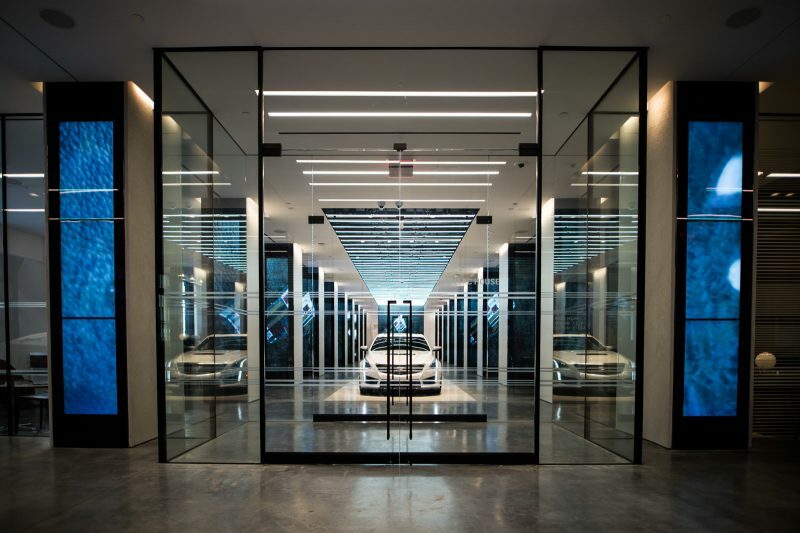 The space is designed to be a hub of creative activity, with a complex display system that can be customized for gallery openings, film viewings, and fashion shows. 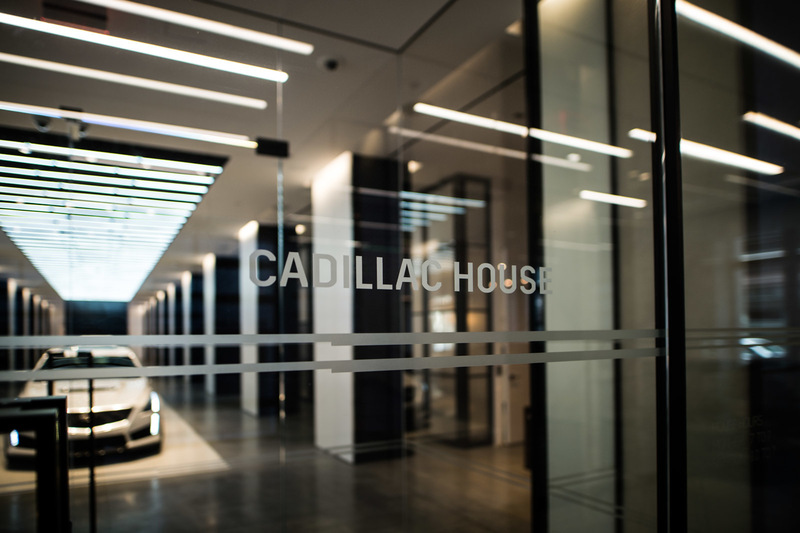 But more important than any one event, the Cadillac House will primarily be a center for more casual gatherings and the exchange of ideas, holding a similar social role to an eighteenth-century coffee house. 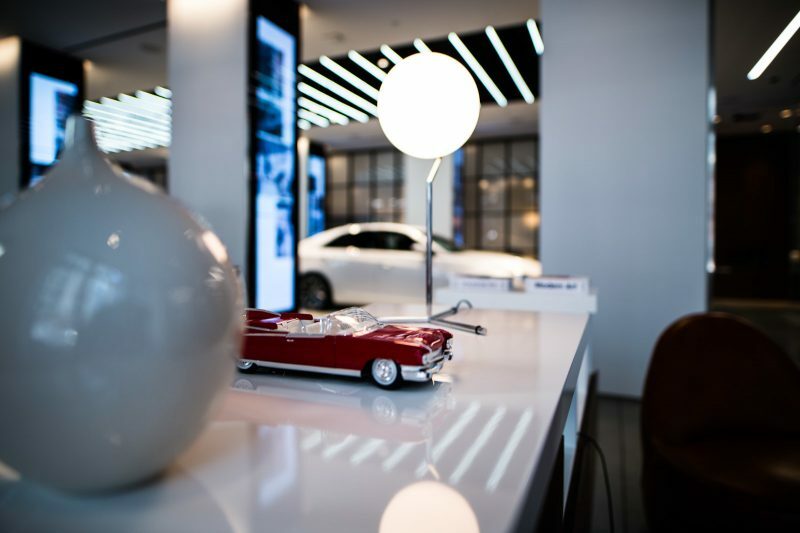 Though the Cadillac House is much more than a vehicle showroom, it does make a nod to the company’s past with the inclusion of a vintage Cadillac and smaller car models. 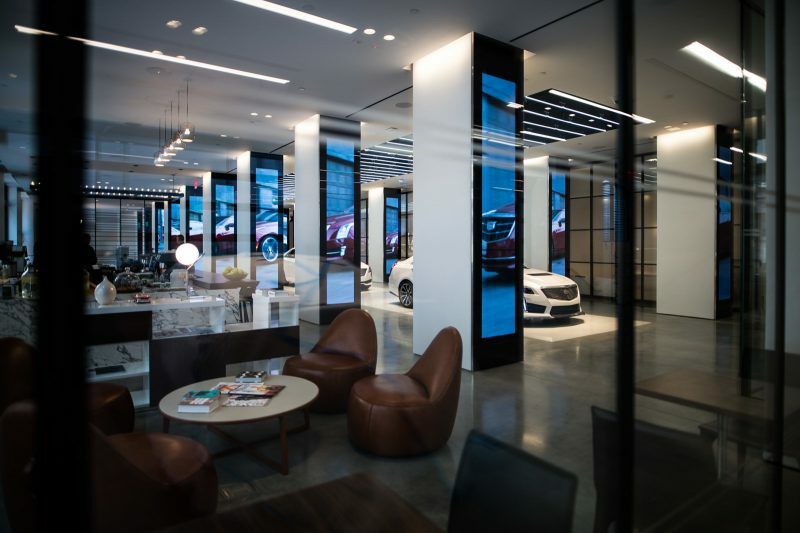 The design of the space is sleek and modern, but with organic touches, such as the marble and wood coffee bar. The coffee served is, of course, a local brand, as the company sees this as important for maintaining an image of relevance and authenticity.